GTI Mk1, 2, 3, 4 now VRS Hell Yea! Ye thats a thing i need to know before doing mine i know all the mechanical stuff and feel confident there but the loom of my mk 2 gti 16v and the the 1.8t ecu + engine loom what do i have to alter or how do i re wire it? 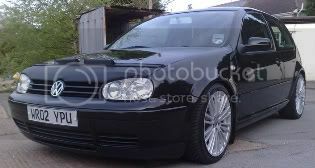 I would obviously need the 1.8t ecu also wont i ?!?! On that Qtech site is says you dont need it, but engine needs management! I guess they ask you to sent the wire to them and they mod the wire and supply u an ecu of some sort?? Am i right? Any tips on where to start for the wiring, any one got a custom diagram they have made when moding there loom? I rang up a vw specialist garage about dropping a 1.8T 20v in my mk4 2ltr gti. Does that sound about the right price? Sounds about right to me. 4k is at the cheaper side. Ring up some of the other specialists in the mags and get some quotes. PM me if your doing this conversion, especially if your putting it in a mk3, would be glad to give some advice and guidance. im gonna do mine soon 20vt conversion in mk2 but i wanna fit air con in it ,i saw afew fitted air con but they all had the dash conversion too , i hvnt seen one that still uses the mk2 dash with air con ! anyone can help ?